Dad You Rule Minions Birthday Card | Minion Shop. 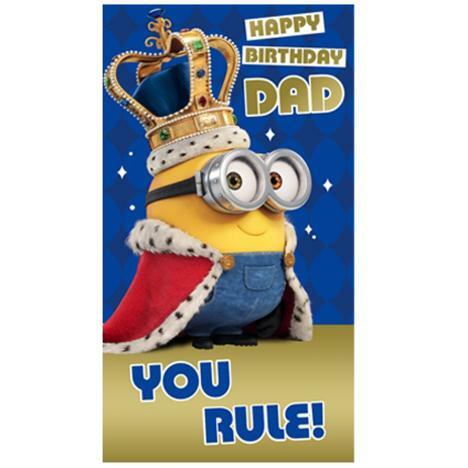 The message on the cover of this Minion Movie Dad Birthday Card reads "Happy Birthday Dad You Rule! "and the inside message reads "Have a great day. You're the King of all Dads!"